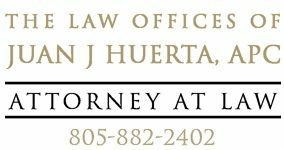 Juan Huerta Law serves individuals and their families in Santa Barbara, Santa Maria, San Luis Obispo, Ventura and all of the communities in between. We have extensive knowledge and experience in personal injury and criminal defense law in the state of California. Contact us with questions or about legal representation using the form and phone number on this page.